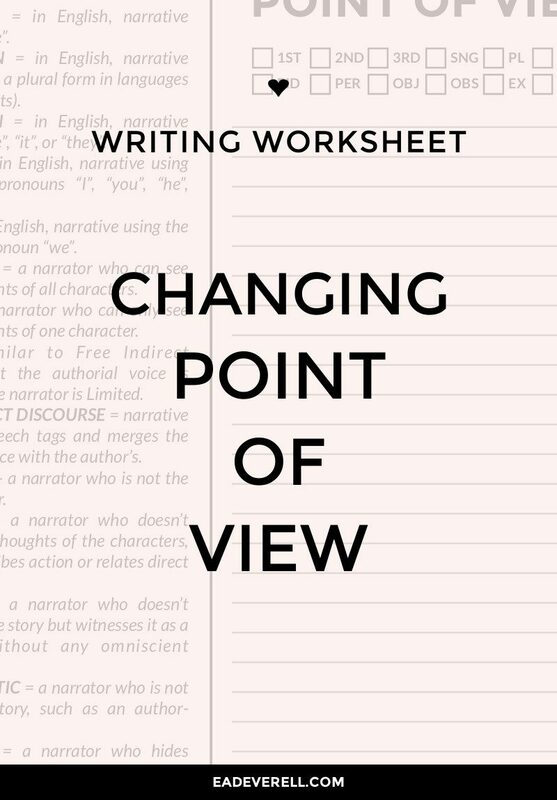 This exercise is a favourite with English teachers everywhere, but its use isn’t limited to exploring POV characters. You can also use this worksheet to gain some perspective in your day-to-day life. Rewrite your day from someone else’s point of view. Rewrite your opening scene from a minor character’s point of view. Rewrite the story of how you met your best friend, from their point of view. Take a passage from your favourite novel and transpose it into another point of view. Try to write an omniscient account of everyone you encountered this morning. Write a 2nd person “choose your own adventure” style account of a decision you made or are considering. P.S. 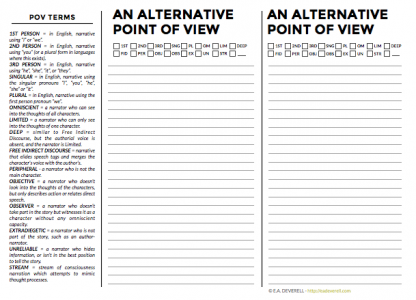 Have I missed any important POV terms? Let me know! in a #writingjournalchallenge on Instagram!